With beautiful ocean views and easy beach access, you'll love staying in this cottage. The suite has a mini-fridge, microwave, and coffeemaker available, and a two-person table tucked away under a window. 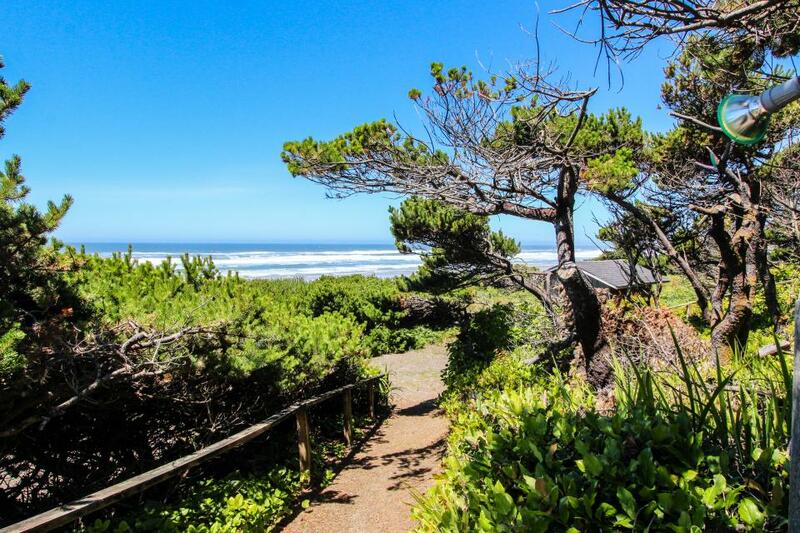 There's WiFi, cable TV, and of course, Big Stump Beach right outside your door! There's also a full bath, and space for up to four guests on two double beds. Pets are welcome too - a $10 daily fee per dog applies, with a $40 minimum per stay.